Zygomatic process rises from two roots on the anterolateral face of the squamous temporal bone and is a thin, arch-shaped protuberance. The anterior end of the arch rises in a medial location from the articular tubercle. Its anterior root originates medially from the articular tubercle. A rough, toothed suture is created by anterior root of the bony outgrowth that joins the zygomatic bone. The temporalis fascia is attached at the superior border of the protrusion. The inferior border and medial surface connects with the masseter muscle. The maxilla may be straightaway attached through a dorsal expansion of the maxillary zygomatic process to the zygomatic temporal bone process. The maxillary process may merge together with the lacrimal hamulus. Its apex is medial and base lateral. Anteriorly, it creates an anterior surface section. It is concave at the back and forms a section of the infratemporal fossa. It is rough at the top and pointed, which helps it articulate with the zygomatic bone. Inferiorly, it shows the prominent arched border. This acts as a partition in the middle of the infratemporal and anterior surfaces. 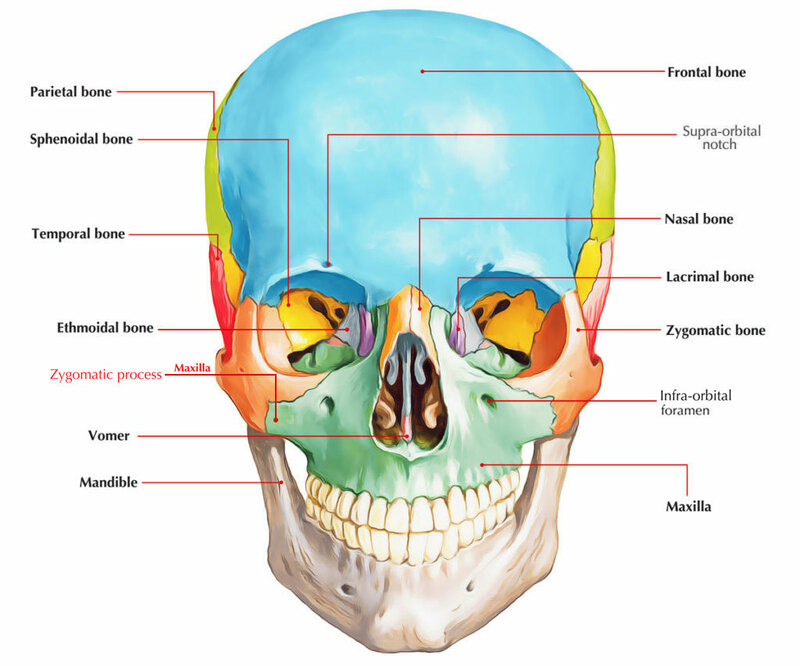 It is the zygomatic process section that comprises of the frontal bone. It extends in a lateral and inferior manner from the frontal bone. It is a thick lateral outgrowth of the supra-orbital margin. 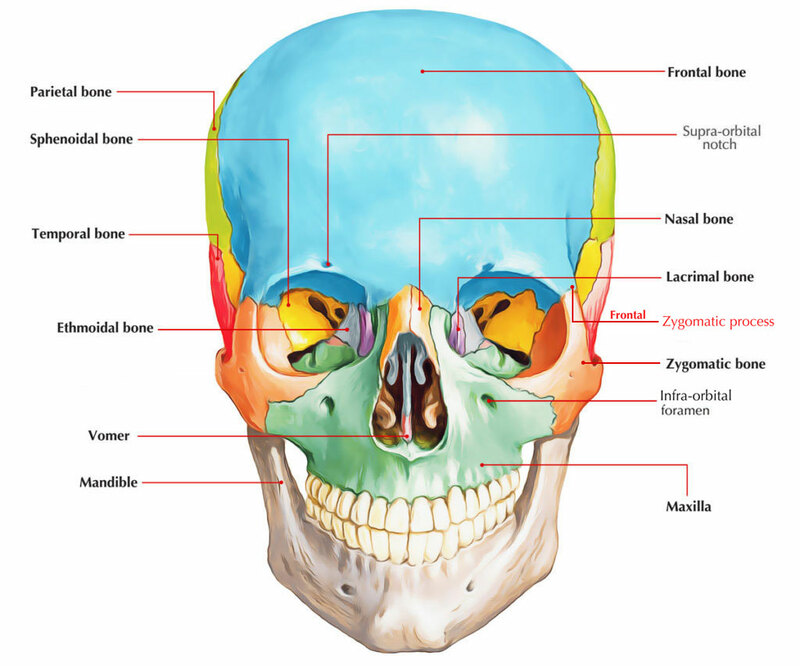 The supraorbital frontal bone margin laterally ends in the strong and prominent zygomatic process that articulates with the zygomatic bone. The frontosphenoidal process is thick as well as serrated. The cranial suture in the middle of the frontal and zygomatic bone is found at this point. The orbital process is a thick, strong plate, protruding backward and medially from the orbital margin. The maxillary process presents a rough, triangular surface which articulates with the maxilla. The temporal process is long, narrow, as well as serrated and joins with the zygomatic process of the temporal.